Some songs can just never be captured properly on record. For one reason or another, they have to be experienced live to fully grasp their worth. Unfortunately for Warpaint, a highly original, female art-rock quartet based out of Los Angeles, that's the case on about eighty-five percent of their nonetheless still intriguing debut, The Fool. Simmering front-to-back in an dark, moody stew lyrically focused on the edgy, manipulative, combative side of male/female relationship politics, The Fool offers up a unique brand of instrumentally intricate, atmospheric prog. It's a sound that is refreshingly out of step with the times. Though there's nothing "metal" about it, it seems to have far more in common in terms of pacing, feel, and tone with the less aggressive, trancier numbers of late 90s/early Aught's alt-metal rockers like Tool than it does with anything offered up by the band's gazillion surf-and-dance-pop-obsessed female contemporaries. On stage, much of the material presented here is exceptional. But on record, much of the material's magic is lost. At the heart of the problem is the album's mix. Live, Warpaint seems to personify the female ideal of positive mutual coexistence. Each band member has a very distinct personality, and collectively, they refuse to sublimate one musician or instrument to another, instead allowing each unique sound or voice to thrive simultaneously at equal and full volume. The audience then, rather than the mixing board operator, is left to decide how to piece the sonic details together, and the effect is mesmerizing. But such an approach requires extreme sonic separation, a level of sonic separation that can really only be achieved live. On record, reduced frequency spectrums and compression demands must be met, instrumental hierarchies must be established...and though producer Tom Biller does everything he can to preserve the band's egalitarian attack, there's only so much he can do...as certain sounds begin to disappear behind or blend into other ones, the band's music, so dependent upon the interplay of simultaneously thriving tiny details rather than overarching percussive or melodic themes, loses much of its power and vibrancy. A few songs survive the translation better than others, particularly lead single Undertow, and the album still possesses several hypnotic moments of unexpected instrumental departure, but for the most part, what one's left with are relatively languid, only mildly dynamic pools of mood, interesting for sure, but not something that I think will appeal to or excite the more conventionally minded listener, and unexceptional by any measure despite the band's great attention to detail. Personally, I'm hoping Warpaint hooks up with LCD Soundsystem's James Murphy as producer on the next go round. If any producer can get them the sonic separation this phenomenal live band needs to see their music thrive on record, it's him. Cherry Picker's Best Bets: Set Your Arms Down , Undertow , Baby , Majesty . Here's the official video for the song Warpaint. Intangibles - Average to Low. 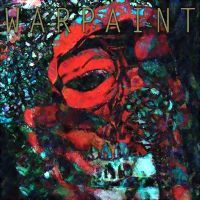 What are your thoughts on Warpaint's The Fool? Let readers know! Feeling every bit like a continuation of the sessions that produced his excellent second LP The Wild Hunt , this short, five-track EP of skeletal, image-rich ballads manages to sustain that album's high quality through most of its duration before finally succumbing to the feel of an outtakes collection on its final two songs. As always with The Tallest Man On Earth, the similarity in vibe and vocal-phrasing to early 60s acoustic Dylan is striking, but of particular note here is the track The Dreamer, which finds The Tallest Man switching to electric guitar for the first time to wondrous effect. And while I wouldn't recommend Sometimes The Blues Is Just A Passing Bird ahead of The Wild Hunt or The Tallest Man's equally appealing debut Shallow Grave as a starting point for first time listeners, returning fans should definitely check this EP out. Over the last few years, this young Swede has been nothing but pure gold. Cherry Picker's Best Bets: Little River, The Dreamer. Here's a live, on-air performance of The Dreamer. 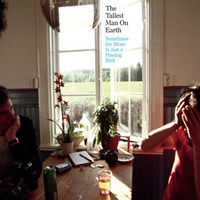 What are your thoughts on The Tallest Man On Earth's Sometimes The Blues Is Just A Passing Bird? Let readers know. The omnipresent Jesus And The Mary Chain drones of their popular 2009 self-titled debut are gone, replaced by a meaty slathering of reverb-drenched 90s guitars and M83ish synth washes, but otherwise, it's business as usual on The Pains Of Being Pure At Heart's sophomore effort Belong...the same dreamy, highly melodic, chimey pop anchoring the same earnest lyrical focus on the heightened joys and heartbreaks of young romantic love. Sonically, the album is a definite step up. The production is excellent, and those Smashing Pumpkins-flavored guitars provide added punch without in anyway compromising the band's relatively gentle nature. But overall, the songs, and especially the melodies, aren't as up to snuff. I'm not talking about a serious drop-off. Belong still possesses a number of solid to very good tunes, but nothing that cuts through the clutter quite like The Contender, Young Adult Friction, or The Tenure Itch did on their debut. For this set, the high points include Heaven's Gonna Happen Now and The Body, both delicious little pop numbers, and best track Heart In Your Heartbreak, which unleashes a killer melody in the service of a slightly cheesy, but clever and effective, lyrical gimmick. But in the end, a few too many disposable moments reduce Belong to just a likable, easy-on-the-ears listen that will satisfy fans of the band and shoegaze/dream pop genre, but doesn't seem to do enough to pull many new listeners into the fold. Cherry Picker's Best Bets: Heaven's Gonna Happen Now , Heart In Your Heartbreak , The Body , My Terrible Friend . Here's the official video for The Body. 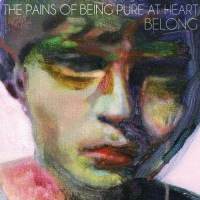 What are your thoughts on The Pains Of Being Pure At Heart's Belong? Let reader's know!